Thirty reproducible problem-solving situations that lend themselves to various solution methods and in some cases more than one correct answer make up Explain It! Lessons are organized by content area and can be used after a particular unit of study as a way to extend and apply understanding. Lessons can be used as large and/or small group activity as well as for individual assignment. Use Explain It! 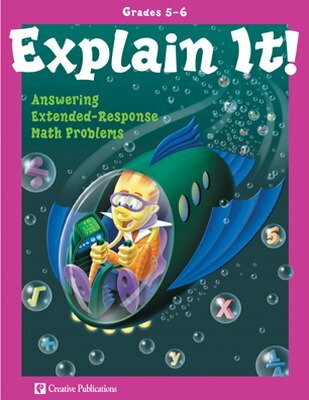 to build and assess understanding of math concepts and competence in problem solving. Students will consider options, apply mathematical thinking and then explain their procedures as they find solutions to engaging problems. In addition, they will get valuable practice to prepare them for success in answering extended response test items. Problems are designed to provide students with practice in answering extended-response questions in preparation for answering test items. Students use higher order thinking skills and clarify and reinforce their understanding as they answer questions. Completed work offers a valuable tool with which teachers can assess student thinking and understanding. Provides a framework for building on student knowledge.